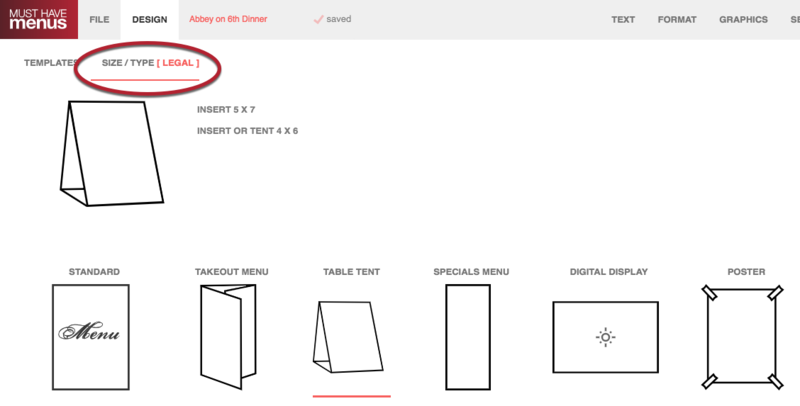 Menu size can be changed at any time. To select a new size, click the Design tab then Size / Type. Sizes are categorized by product type. Select a type to see the available sizes. Please note, content will not automatically format to fit on the new paper size. 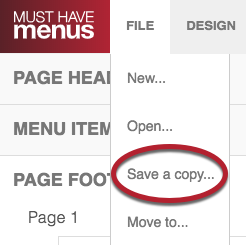 It is good practice to make a copy of your menu first in order to save that version. To make a copy, click File then Save a Copy. Your original menu will be saved to My Menus and you will be directed to edit the copy.